I spent the last two weekends flying gliders. As of Sunday, 5 June, I've logged the requisite minimum of 10 solo flights per my club's rules to transition to the Schweizer SGS 1-36 Sprite, a single-seat glider. Hopefully I can get checked out in it soon, as that will allow me not to compete with flight instruction activity in the club's two seaters. 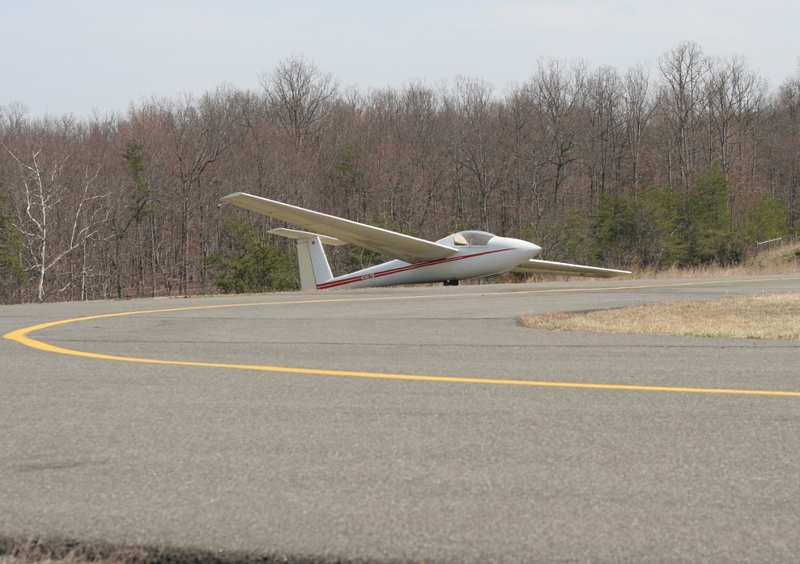 I'm told to expect some pucker factor on the first takeoff because it is very sensitive in pitch and prone to PIO. Since there is only one seat, you learn to fly it on the first attempt. All of my solo flights so far have been short. In most cases there was no lift or the thermals were very narrow. I really need to improve my thermaling chops, which is going to be my focus over the next few weeks. I've been very conservative and haven't strayed too far from the airport in case I encountered strong sink. It is startling how fast the altimeter unwinds when in 1,000+ fpm sinking air. You drop the nose and get the hell out of there quick. I've taken a check flight with an instructor before flying solo each day. The Saturday before last, I flew with a new (to me) instructor. He simulated a rope break at barely 200 feet AGL on the very first flight of the day. 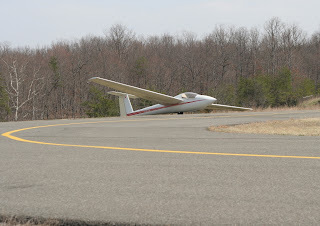 I turned the glider around and the landed downwind. The landing was OK, but I strayed off the runway centerline and the yaw string wasn't completely straight during the 180 degree turn. That would have definitely been an impossible turn in a Cessna 172. Though the maneuver was a total non-event, it certainly got the adrenaline pumping!